* Top Ten Tuesday is hosted weekly at the Broke and the Bookish. Book blogs are great, but I'd be lying if I said they were my favorite. Prior to this year in fact, I only knew of a couple. I love non-book blogs because they introduce me to things I'm unfamiliar with and give me new ideas for things I could have never thought up myself (like recipes and hair styles). Here are a few of my favorites. Cup of Jo is probably my favorite blog out there. First of all, Joanna is one cool chick. She and her husband are both writers, they live in Manhattan, she has great style (while looking very comfortable and effortless), she recently jetted off to Amsterdam for a spur of the moment weekend trip with her husband, . . . I could go on and on! - Would you ever vacation alone? - What do you wear to bed? - Where would you want to raise a baby? - Would you find out if you were having a boy or a girl? - What are your dating deal-breakers? - Do you heart NYC . . . or not so much? - Would you hyphenate your baby's last name? - Are you naked around your children? - How long did you believe in Santa? 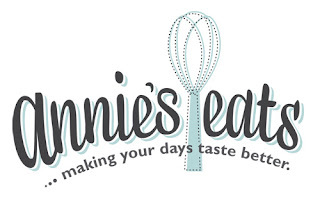 Annie's was the first food blog I really got into. She makes a variety of different things and is always an advocate of making things yourself (she even bakes her own hamburger buns!). 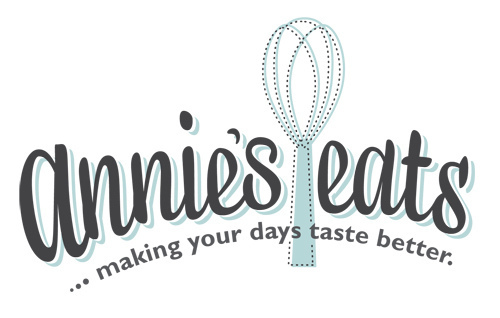 Her site also has a cute, organized design and beautiful (mouth-watering!) photography. Kater has really cute style, usually very vintage-inspired. She was also an English major in college, so she'll occasionally post about books or write about certain characters inspiring her style. Plus, she and I share several obsessions including Downton Abbey and Harry Potter (she even dressed up as Lupin for the midnight premiere last year!). Although I could never wear dresses/skirts and heels as often as she does, Rebecca always looks impossibly cute. Like most of my favorite fashion bloggers, her style looks effortless to me. It's a mix of vintage-inspired and very risk-taking/artsy looks. I only wish I could pull off her cute pixie haircut. She also posts a lot of art, photography, runway shows, and (more rarely) travel. If there's one blog that comes up the most in my everyday life, it would be Tom and Lorenzo. As their tagline says, they are a fabulous and opinionated couple that spends their day critiquing fashion of any kind. Runway shows, red carpet, movie/TV fashion, stars' everyday styles. They also post about TV shows like Project Runway and Mad Men, if you're into that. Not only do they have great taste, they're snarky and hilarious. Kristen loves food, running, and travel and her blog reflects that. There's a section specifically for fitness, but I stick to the main blog where she posts tons of (usually) healthy recipes. Each post has tons of pictures and descriptions, so you know exactly what you're getting into. Her recent trip to Jamaica looked beautiful and in her archives, you can find her previous trip to the Amalfi coast in Italy (gorgeous!). She also shares a weekly list of her favorite internet finds of the week, which I love (at least one of her weekly faves always seems to end up on my Pinterest!). This blog always makes me smile. A magazine editor posts work-related situations (such as "when a writer pitches me and I find out he's already written this story for some Canadian magazine"or "when I see our magazine on a newsstand") and then adds a silly .gif (a moving picture) beneath to show her reaction. If you've ever seen #whatshouldwecallme (which I would also recommend), it's very, very similar. Both are completely hilarious. Anyone interested in graphic design should read this blog. It posts tons of great package design and will always leave you feeling inspired and wishing everything in the world was packaged so beautifully. No explanation need. I LOVE Pinterest. If you read a lot of blogs and don't have a blog reader, I highly suggest bloglovin'. It allows you to sort your blogs into categories and has a clean and simple design. When you open it up, you see all the new posts from blogs you read with their title, description, and picture. If you don't want to read a post, you just hit "mark as read" (or if you don't want to read an entire category of blogs, you can mark the whole category "mark as read" in one click). If you do want to read the post, you click on it and bloglovin' takes you straight to the blog. And once you open one blog post, you can use the button on the bottom right corner of your screen to quickly move through all the other new posts (going straight to their blog pages). It's just an awesome way to organize. Highly recommended. A lot of people have listed Iowa Girl. It must be pretty fantastic. It's definitely worth checking out. I was only introduced to it a couple months ago by my sister, but I've been really enjoying it ever since. If you're into food, give it a look! I've had a friend tell me I need to read A Cup of Jo, but your post convinced me! I love blogs that write about a little bit of everything. I'm going to check out a few others, too. 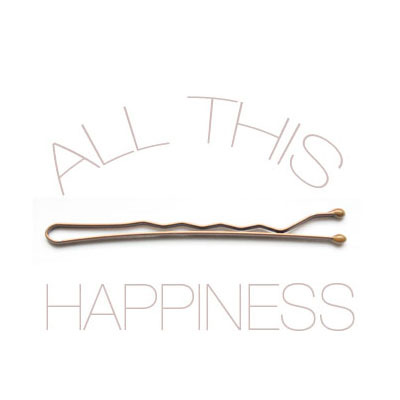 And I completely agree with you on Pinterest - it's addicting! I also use Bloglovin' as my reader, and I love it. It looks so much better than Google Reader! Definitely do! A Cup of Jo is my favorite blog. I don't know if I mentioned it above, but she also always posts twice a day and usually they're rather short (but still thoughtful). To me, it's the perfect amount!